As we start this relationship together, there are a few things I must share with you. No, it has nothing to do with pina coladas and getting caught in the rain. It's about your car. You see, as a mechanic, there are a few things I need to share to make this work. Your car needs scheduled upkeep to keep it performing as intended. With regular, preventative maintenance, your car will perform to its maximum and save you money in the long run. Changing the oil and air filter, schedule inspections, checking tire pressure and tread can help prevent a major fix. And don't ignore the 'check engine' light! Many weekend lug nuts can do simple fixes to their car. Know what your limitations are: oil changes can be messy, and you don't want to end up with a handful of parts AFTER you're done. Keep in mind that today's cars have sophisticated computer systems. Investing in an expensive code reader may seem like a way to save you money, but if you can't read the code, or fix the repair, it's money wasted. Plus, resetting the code can be tricky. Let's be realistic about repairs. If your car has 100,000 miles on it, it probably needs some repairs. Over time, parts wear out. We can fix your car, but understand that there may be other needed repairs on the horizon. 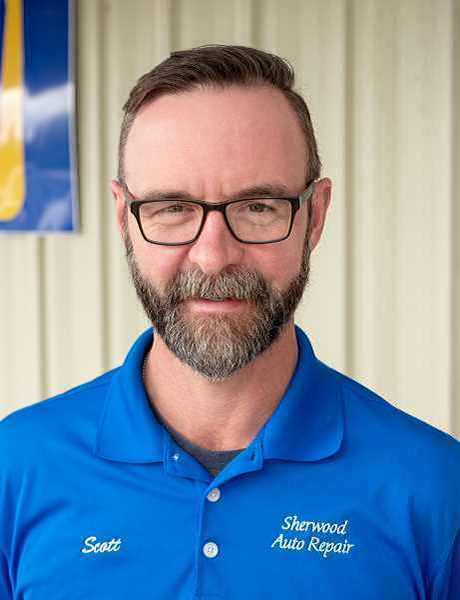 At Sherwood Auto Repair, we offer a 3-year, 45,000-mile warranty on all of our repairs. Now, let's get back to talking about pina coladas and getting caught in the rain…..